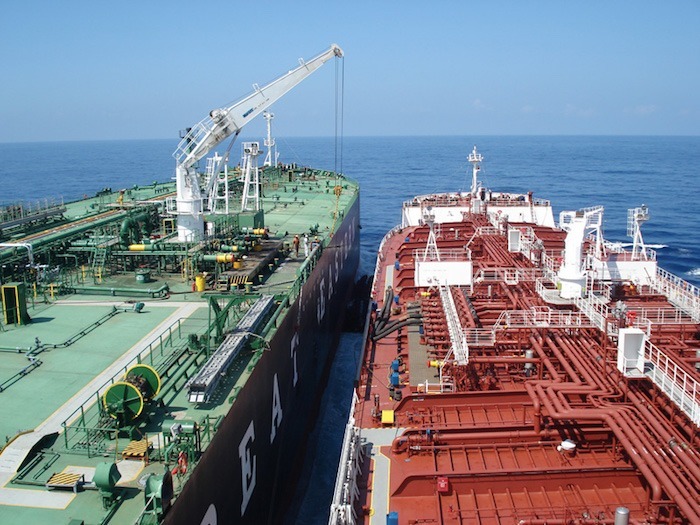 Though tanker practice is a very specialised subject whose training is disseminated through Basic and Advanced training modules supported with intensive on board training, it has been observed that even after adequate experience negligence occurs at various levels, leading to challenges in ports for loading or discharging. It is not only the duty of the Chief Officer or Master to look after various operations on board. Every tanker man including, the cadet, must be aware of some basic practices at different stages and support the senior management by bringing any non conformity to their notice. To do this they must be aware of best practices performed on board. 1. Take Charge Immediately: Even if it is your first day on a tanker, or the company or even the first day in rank; the ship will not give you any discount on that account. The problems will emerge almost immediately when you are least suspecting them. In fact this may happen even if the ship is straight out of the shipyard. So just behave as if it is your first day at sea and get cracking on learning the essentials of that vessel. Some companies provide sufficient overlap for senior officers for this purpose; hence it is left to the senior officers to ensure that all the support staff is adequately familiarised with the operations. 2. Be Aware of the Cargo Plan: It is very important to be aware of the cargo stowage and details in each tank before the loading operation. The plan may change while actual loading, still it should be discussed during a pre loading meeting with as many ship staff as possible and definitely with the entire deck crew, C/E and Second or First Engineer. 3. Display The Cargo Stowage in CCR: A very common but serious incident on board is the shifting of cargo from one tank to another due to valves not holding. A white board display in CCR will cost less than $20. Design it to display the Ullage and Mean Temperature and Tank I.G.Pressures. Write down the final loading temperatures and ullages on it after or before departure as per the final Bill of Lading. A daily glance and comparison of the CCR displays will immediately alert the vessel management team of a breach. This will save a lot of tension and running around if everyone visiting the CCR for more than 5 minutes could check the Console display of Ullage with the white board display. 4. Display the Cargo MSDS in the Cargo Control Room: This is not just the mandatory requirement but also a necessity for the crew to be aware of what they are carrying and how dangerous it is. 5. Check the I.G.Pressures: It is mandatory to have remote pressure indication from each tank in the CCR. However, this will be of no use if the support staff did not know the importance of it and simply pressed the Low Pressure alarm acknowledgement. If the vessel is loaded fully to 98% , it is normal to have a daily fluctuation from High to Low -Low Pressure depending upon the ambient temperature. Still a mean reading will enable you to plan topping up of the tanks with IG. 6. Do not shut off the Inert Gas Inlet valves to isolate the tanks from main line: I know this may sound crazy, because who will shut off the valves since this may subject the tank to vacuum to over pressure or vacuum in case of malfunction of the PV valves. However you will be surprised how many times this has been done in order to prevent intermixing of cargoes. 7. 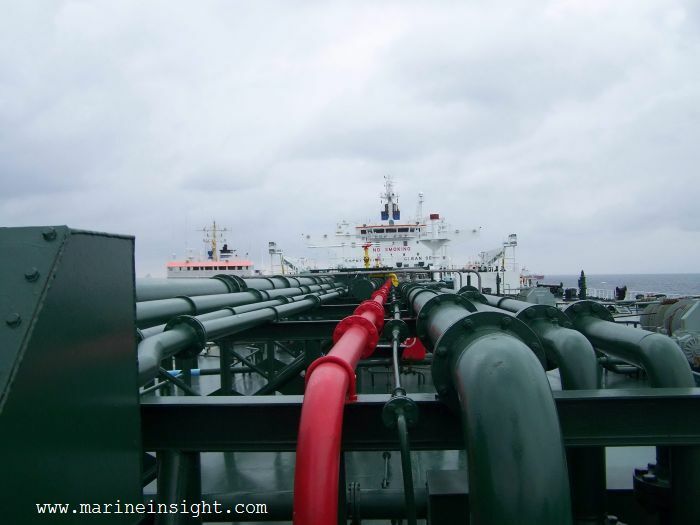 Check the Cargo Heating Lines seriously: If your tanker has cargo heating lines, you must test them as per PMS or earlier even if there is no plan to carry heated cargo. With uncertainty in the oil market you can never be sure what cargo is being planned next. It will be very embarrassing if a loading port is planned a few hours away with heated cargo and the vessel is not sure of its heating lines. 8. Do not switch off the OVERFILL Alarms: When the vessel is 98% loaded, it is quite common to have frequent Overfill (also known as Hi-Hi Level alarms) alarms in case of rough weather. It is strongly advised never to turn them off. Few alarms are designed not to be disabled , but it has been noted that the ship staff switches off the electrical supply to these alarms. However even if the alarm has been isolated, ensure all alarms are tested prior arrival to port. 9. Check Oxygen Content of tanks regularly and well before arrival: There is nothing to elaborate on this for any tanker man. However this is a common neglect. The equipment used to check Oxygen and H2S must be calibrated and have a certificate. Any other special check required must also be carried out. 10. Pressure Testing of all Cargo Lines and Pre discharge tests: It is important to carry out the pre Arrival Cargo checks as per the company SMS. It is surprising how many Chief Officers and Masters do not carry out the pressure testing of lines (even though the nature of cargo permits it). Most of the pre discharge tests start and end with remote stopping of the cargo pumps. In case of crossing the Atlantic or the vessel having faced bad weather during the voyage, it is advisable to carry out pressure testing of lines at least 72 hours in advance. This will give the vessel staff sufficient time to rectify any leakages of Dressor Couplings or any other defects in the pumps or pipelines. 11. Reset All Cargo Pumps after trying out Remote Emergency Stop: This is a common mistake that is made. As the last part of the operation, the pumps are tripped from remote and the entire plant is shut down. This is not a correct thing to do. Whether the prime mover for the cargo pumps is steam, electrical or hydraulic, ensure that the trip is reset and the pumps can be started again. Depending upon the system on board, this will vary, but whatever the system be, please ensure that it will start normally during a Cargo discharge. If the system is steam based, ensure that the COP speed was reduced to minimum before trying out remote trips, otherwise the pump will race or start at a higher runaway RPM next time when the pumps are started. This has caused serious accidents in the past due to governors getting stuck at higher RPMs. 12. Do Not Ignore Pump Room Bilge Alarms: Depending upon the yard the Pump Room and Fore Peak Store Alarms are provided in CCR, ECR or a combination of any of these. Please identify this as soon as you board the vessel and respond to a high level Bilge Alarm in a positive manner without ignoring it. 13. Check the quantity of feed water: Water consumption is relatively higher on Tanker vessels carrying heated cargo and having Steam Cargo plant. This is the most ignored area since depending upon the ship practice the responsibility may vary from Engine department to Deck. Whether it is before arriving for a loading port for heated cargo, or discharge, if your Cargo plant is operated by steam you may need to know how much distilled water you have for the boiler plant. Doubly ensure this by taking actual tank sounding, rather than depending upon remote gauges. 14. 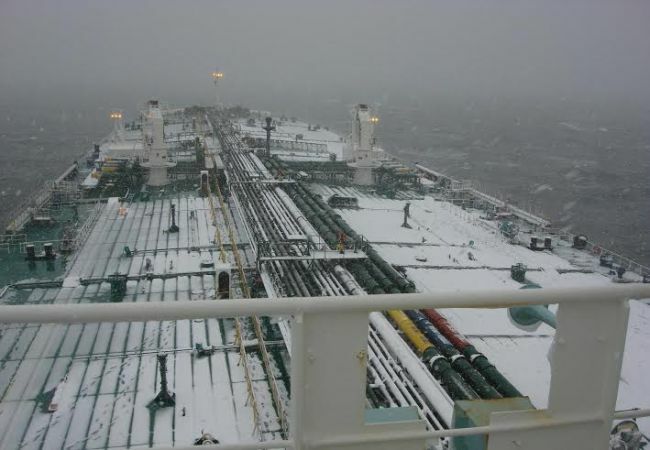 Cold Weather precautions: This has to be taken into consideration for all kind of vessels, but there are a few specific areas to tankers which become critical. These include completely draining the cargo heating lines; testing steam lines for deck seal; draining the ODME pump in the pump room, tank cleaning heater etc. Any negligence on this account may have an enormously damaging effect on the vessel operation. The ODME sampling pump in fact should be kept drained at the casing, at all times, unless it is required. The PV breaker liquid also needs to be checked for sufficient cold weather levels. 15. OIL Record Book: It is imperative that the ORB (Oil Record Book) is filled up completely and correctly almost immediately after an operation is carried out. However this is not done in quite a few cases. Officer in charge keeps waiting for a few days before making entries. This strategy can backfire at times if the officer forgets due to some urgency, and it has happened quite a few times.